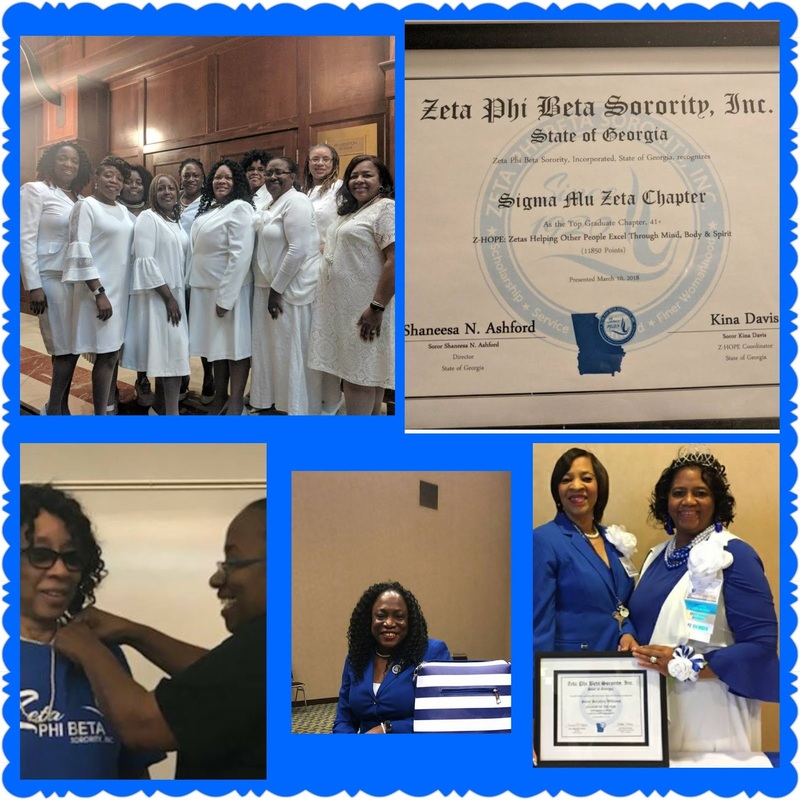 The Joint State Conference in Columbus, GA was “EPIC” for Sigma Mu Zeta! Our own Soror Sherry Pope was elected as the State Grammateus and Soror Serafina Williams was awarded State Undergraduate Advisor of the Year. Soror Daarina Adul-Mateen received special recognition as the first Dove inducted from Sigma Mu Zeta. Each year we strive diligently to serve our community because each point equates to someone we’ve helped along the way. Our efforts for the third consecutive year have resulted in being awarded the State’s Z-HOPE award for our chapter size, recognition for our social action efforts and this year‘s 2nd place in volunteer hours. Our undergraduate chapter, Alpha Tau (Emory University) also received an award for volunteer hours. Doing the work of Zeta is what we do best in Sigma Mu Zeta!